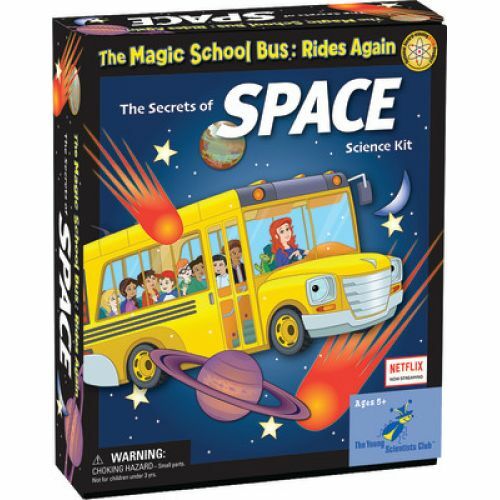 Get Ready to Discover the Exciting World of Science – Seatbelts, Everyone! Based on the popular book series, these fun and exciting kits are sure to engage children of all ages! 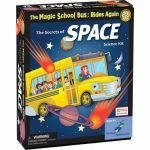 Ms. Frizzle and her class take students on a wild ride into the spectacular world of science. 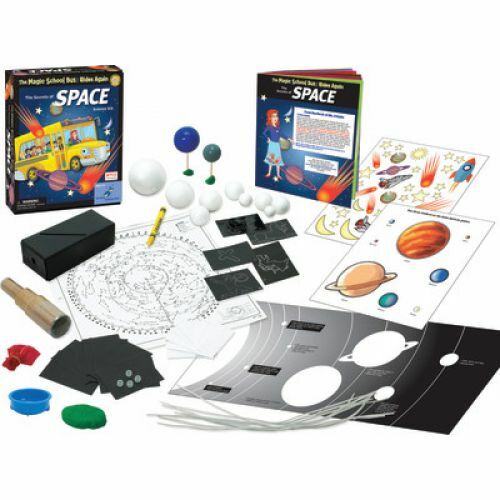 Each kit comes with a colorful manual and provides challenging and exciting hands-on experiments. The Secrets of Space. 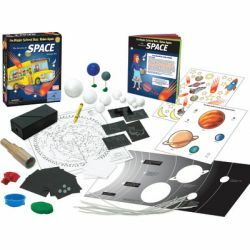 Construct a night-vision flashlight, design a solar system mobile, build a constellation box, draw constellation cards, recreate the phases of the moon, make a model of a solar eclipse, assemble a working telescope, and more!